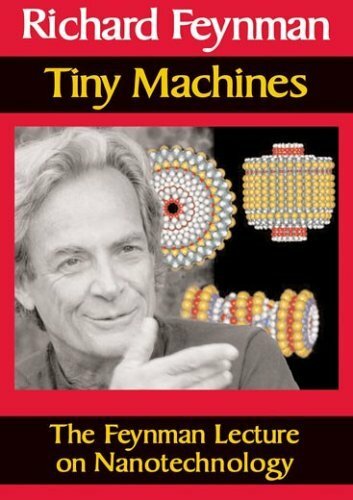 Nanotechnology began with Richard Feynman's lecture There's Plenty of Room at the Bottom, a description of atomic scale machines. 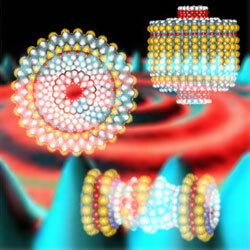 Tiny machines, self-assembling DNA, molecular machines. Key people and events include K. Eric Drexler, Chris Peterson and the Foresight Institute. A basic introduction to molecular nanotechnology and its relevance to the Millennial Project. 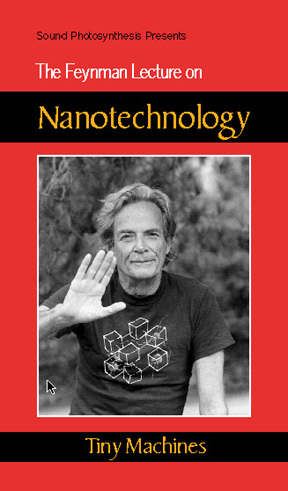 The Feynman Prize in Nanotechnology, awarded to Creon Levit and his NASA associates, put the NASA Ames Research Center at the forefront of nanotechnology research. The recordings from the Foresight Conference are available in a complete set at a discount, or separately with one lecture per audio tape or two lectures per video tape (see the following). Track 1 : 5th Foresight Conference on Molecular Nanotechnology, Friday, Nov. 7, 1997. 90 minutes. Track 2 : 5th Foresight Conference on Molecular Nanotechnology, Saturday, Nov. 8, 1997. 90 minutes. Design for Diamondoid Nanomachines & PANEL: How? 5th Foresight Conference on Molecular Nanotechnology, Thursday, Nov. 6, 1997. 120 minutes. Designing Cells that Register Logical States and Intracellular protein technology & Bacteriorhodopsin Based Light-Addressable Transducer & Atomic Force Microscopes for the Study of Protein Motion"
Track 1 : 5th Foresight Conference on Molecular Nanotechnology, Saturday, Nov. 8, 1997. 90 minutes. Track 1 : 5th Foresight Conference on Molecular Nanotechnology, Friday, Nov. 7, 1997. 120 minutes. 5th Foresight Conference on Molecular Nanotechnology, Thursday, Nov. 6, 1997. 105 minutes. Track 1 : 5th Foresight Conference on Molecular Nanotechnology, Friday, Nov. 7, 1997. 105 minutes. Faustin interviews, Creon Levit contributes. Nanotechnology, or molecular engineering, will soon create machines as small as DNA and change our culture. Track 2 : 5th Foresight Conference on Molecular Nanotechnology, Saturday, Nov. 8, 1997. 120 minutes. Self-assembling DNA Structures in Three Dimensions & Directions in Nanotechnology. 5th Foresight Conference on Molecular Nanotechnology, Thursday, Nov. 6, 1997. 90 minutes. Track 2 : 5th Foresight Conference on Molecular Nanotechnology, Friday, Nov. 7, 1997. 105 minutes. 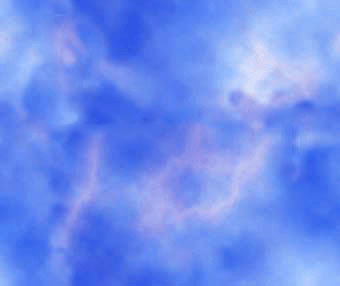 5th Foresight Conference on Molecular Nanotechnology Tutorial Wednesday, Nov. 5, 1997, 105 minutes. James Gimzewski is a Senior Research Scientist and Project Manager at IBM Research Division in Zurich. He is well known for his numerous recent achievements in STM tip assisted atomic manipulation on solid surfaces. 5th Foresight Conference on Molecular Nanotechnology Tutorial ,Wednesday, Nov. 5, 1997, 90 minutes. Donald W. Brenner is Professor of Materials Engineering at North Carolina State University. He is well known for formulating reactive many-body hydrocarbon potential for diamondoid and fullerene based materials, and doing large scale molecular dynamics simulations for many interesting problems in chemistry, physics and materials science. 5th Foresight Conference on Molecular Nanotechnology Tutorial , Wednesday, Nov. 5, 1997, 90 minutes. Charles W. Bauschlicher, Jr. is Senior Research Scientist at NASA Ames Research Center. He is an expert in using all kinds of quantum chemical approaches to tackle technologically significant physical and chemical problems. 5th Foresight Conference on Molecular Nanotechnology Tutorial , Wednesday, Nov. 5, 1997, 75 minutes. M. Reza Ghadiri is Assistant Professor in the Departments of Chemistry and Molecular Biology at the Scripps Research Institute. He has used techniques from synthetic chemistry, recombinant DNA technology and Materials Science to develop novel methods to assemble and study artificial proteins, molecular receptors, peptide architectures, and self-replicating molecular systems. 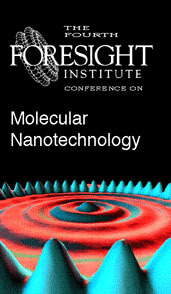 Track 2 : 5th Foresight Conference on Molecular Nanotechnology, Friday, Nov. 7, 1997.90 minutes. Unbounding the Future: The Path to Molecular Manufacturing and how it will change our world. What is nanotechnology? Nanotechnology is, quite simply, the manipulation of matter at the molecular level to create new products with atom-by-atom precision. Nanotechnology is emerging as the next technological revolution, with effects on virtually every aspect of our lives. From environmentalists to military planners, consensus is growing that building from the molecules up—molecular manufacturing—will profoundly change todays world. 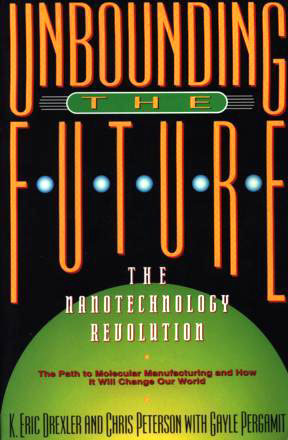 Unbounding the Future is the comprehensive, easy-to-understand guide that explains what it is and how it will revolutionize our lives. Dr. K. Eric Drexler is the author of Nanosystem: Molecular Machinery, Manufacturing, and Computation, the first textbook on nanotechnology. He taught the first university course in the field (at Stanford) and received the first Ph.D. (from MIT). Chris Peterson and Gayle Pergamit track new technologies and explain them to lay readers: Chris from the perspective of a nonprofit foundation director, Gayle from that of a Silicon Valley entrepreneur.